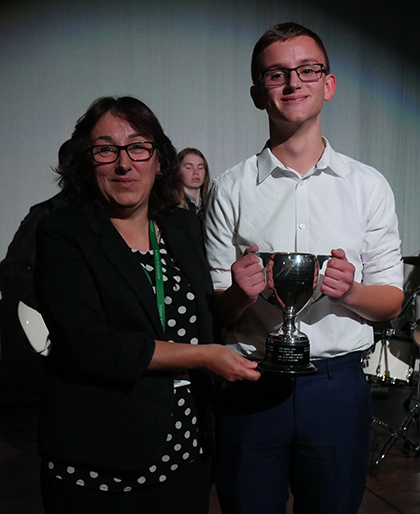 Gifted musicians will do battle for a scholarship fund at the first music concert of the year at The Sixth Form College, Solihull this month. The Heartfield-Wharam Scholarship Concert takes place on Wednesday 18 October at 7.00pm in the College Theatre and students will be auditioning to win a bursary prize. The £150 fund is to spend on music tuition from an eminent performer of the winner’s choice. Last year, Lukas Evans (pictured right) was judged to be the winner, thanks to his performance of the 1st Movement of the Violin Concerto in G Major by Haydn. Admission is free and there is no need to book tickets in advance for this concert.